Picture this: you are ready to launch your new business, you’ve picked a name/mark that you feel represents the soul of your company, you’ve branded all of your goods and marketing materials and sent them out into the world, and, all in all, you’ve grown to view that mark as a representation of all your hard work. Your products start flying off the shelves and you continue to invest your time, energy, and money into building and spreading your brand identity. Suddenly, not too far down the road, you receive a nasty cease and desist letter from a company that alleges prior use of the same mark and is looking to shut you down. What do you do? Your decision at that point may depend on any number of factors, and it’s worth noting that this isn’t the only potential negative outcome of going down the “wrong” trademark path. But this is not an uncommon scenario for startups, and it’s one of a few emotional and financial quagmires that might be avoidable with some awareness and careful consideration upfront. Of course, all of the decision-making that goes into selecting, clearing, applying-for, using, and maintaining a trademark is far too encompassing to cover in one post. But I’d like to break some of the big concerns into three chunks for you to chew on as you begin your startup and trademark journey. Trademarks/service marks (collectively referred to as trademarks for convenience) are typically names, logos, and/or slogans used to brand certain goods and services. You want a trademark that’s distinctive and easy to remember so that it builds a strong association between your mark and the goods and services you provide. Typically, the more unique, the better, and descriptive names, surnames, and geographic names should be avoided. Think arbitrary (words that have no relation to the particular goods and services – e.g., Apple for computers) or fanciful (made up words that have no dictionary meaning – e.g., Xerox or Kodak)! While a trademark that refers or alludes to your goods/service may make it easier for customers to understand your business from the get-go, it’s also more likely that other people in your industry will choose the same or similar mark, which lessens the protection that would otherwise be afforded to a unique source-identifier. As you go through this process, try not to get too attached to a mark right out of the gate. You might believe with all of your heart that the mark you’ve come up with is the best thing since sliced bread, but it may have a number of lurking problems, and you should be prepared to adapt. This section might be better categorized as 1.5, as doing your homework should really feed into choosing your mark. Although it is not required that you conduct any level of searching before using a mark or filing a trademark application in the United States, clearing your mark early on may save you a great deal of time, money, and headaches down the road. Searching can be conducted on a variety of levels, starting with basic internet searches all the way up to hiring a trademark attorney to conduct a full clearance search and provide an opinion. Having a discussion with a trademark attorney regarding the marks you are considering may be helpful in narrowing your choices down and/or understanding what level of search may be recommended in your case. Either way, you can start by searching online through everyday search engines, domain name registrars, your state’s Secretary of State database, and the United States Patent and Trademark Office’s (USPTO) trademark database. Although searching all of these databases will by no means provide you with any guarantees, they’re a good starting point to help you get a sense of the landscape surrounding your proposed mark. 3. Use it (properly) or lose it! Any form of trademark protection in the United States, be it a common law mark or a federally registered trademark, is based on actual use of that mark. Almost every issue you can encounter with trademarks is going to tie back to use in some way, such as how are you using the mark? Have you always used it in this manner? Where have you been using it? Has the mark always appeared in this form? Has the mark always been used for these goods/services? How long have you been using the mark? Did somebody else use it first? All of these details and more feed into the development of trademark rights in a mark. These questions regarding use will also come into play should you decide to file for federal trademark protection with the USPTO, which is the strongest level of protection in the United States. While an application for federal registration may be filed based on an intent to use the mark, in order to complete the registration process, you will need to satisfy the interstate/foreign commerce requirement for use of the mark. Furthermore, even if you obtain registration, you must continue to make proper use of your mark in order to maintain your rights. If you have a state or federal registration, make sure you stay on top of any renewal filings and ensure that your use of the mark continues to satisfy the requirements. And, as the owner of the trademark, you should be concerned with any use of the same similar marks by third parties, particularly in your industry or for similar goods and services. Consider looking into watch services that can help you pick up on cyber squatters or third parties looking to register similar marks. Finally, be aware of your use of the mark internationally, if any. Any rights that you obtain through use and/or registration in the United States is limited to the United States. As your business grows, make sure that you are adequately considering and protecting your brand’s presence abroad. And make sure that you’re not stepping on toes internationally either! 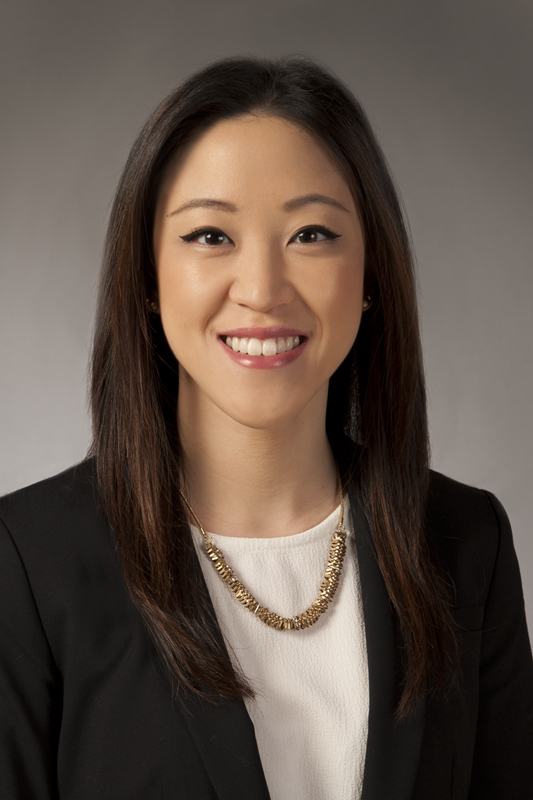 Catherine Yao is an intellectual property attorney McLane Middleton, Professional Association, where she works to assist clients with all issues relating to the protection of their intellectual property rights. Her experience covers all areas of IP, including patents, trademarks, copyrights, licensing, and more. Catherine can be reached at catherine.yao@mclane.com.